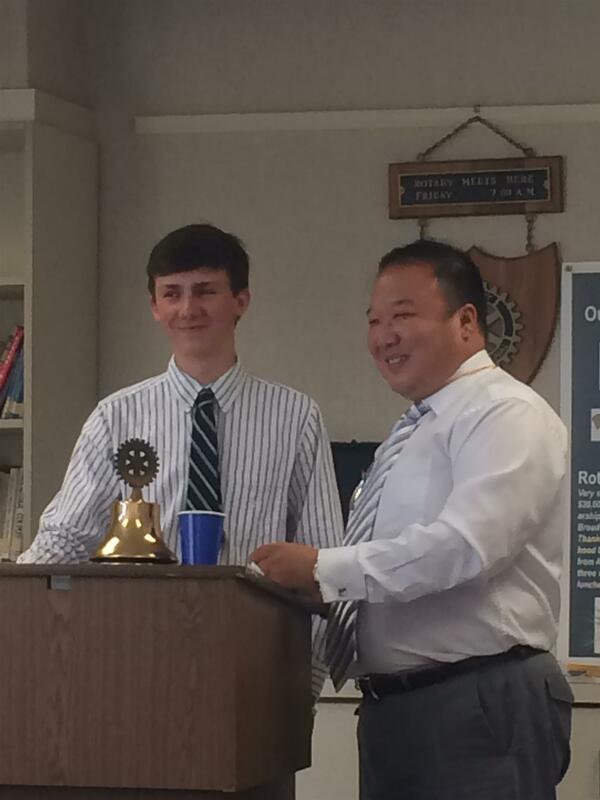 RE: Grant Application The Rotary Club of the Stoningtons is a civic organization dedicated to “Service above Self”. The money we raise is used to help both the local and international community. 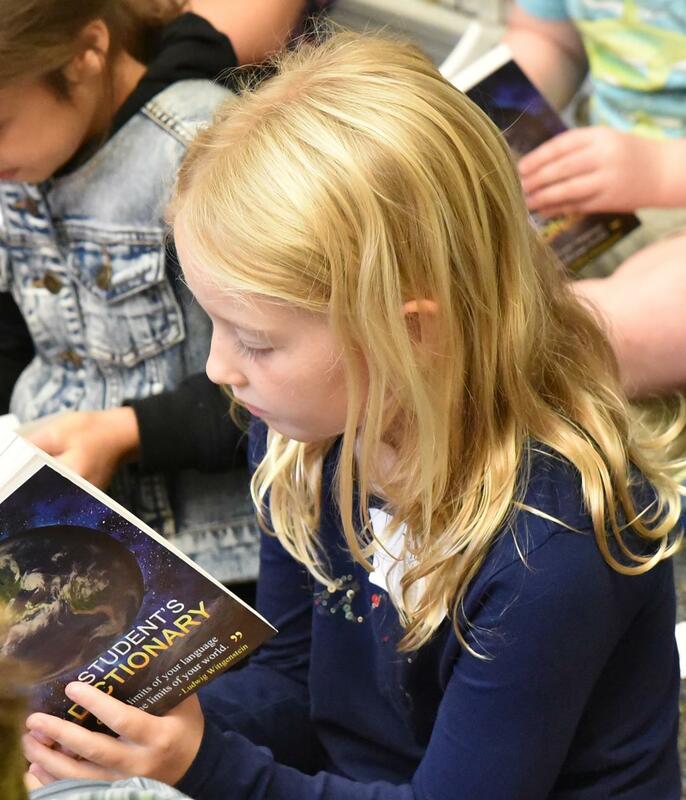 We are now accepting grant requests from area non-profit organizations. The request application is enclosed. Please complete the form in its entirety, ensuring that it is legible. Our club awards funds based upon need in the community, within the constraints of funds available. Please note our policy is to award no more than $1000 to any organization. 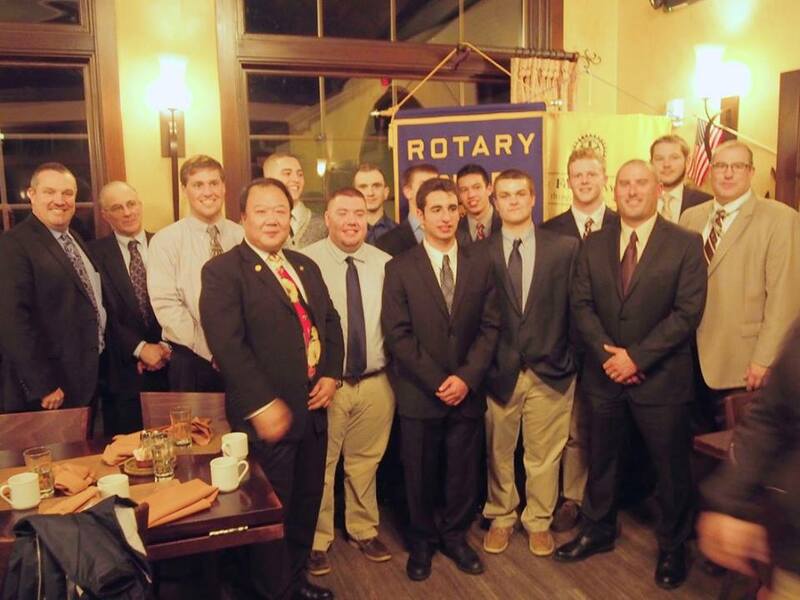 The Rotary Club of the Stoningtons is a civic organization dedicated to the Rotary motto of “Service above Self”. The funds that we raise are used to award grants both local and international community. 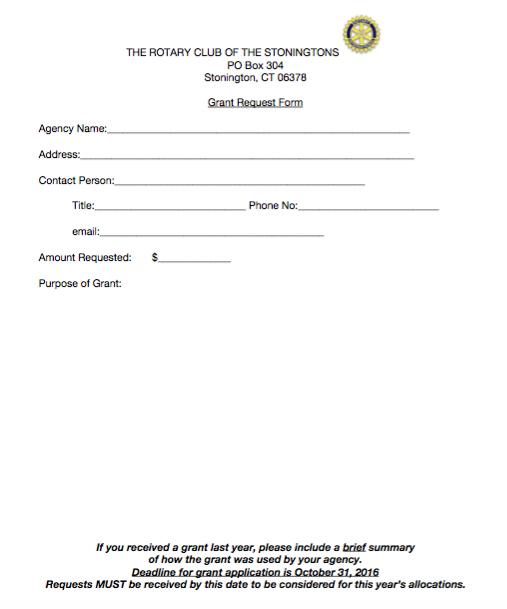 We are now accepting grant requests from local 501(c)(3) qualified non-profits. The request application is enclosed. Please complete the form in its entirety, ensuring that it is legible. 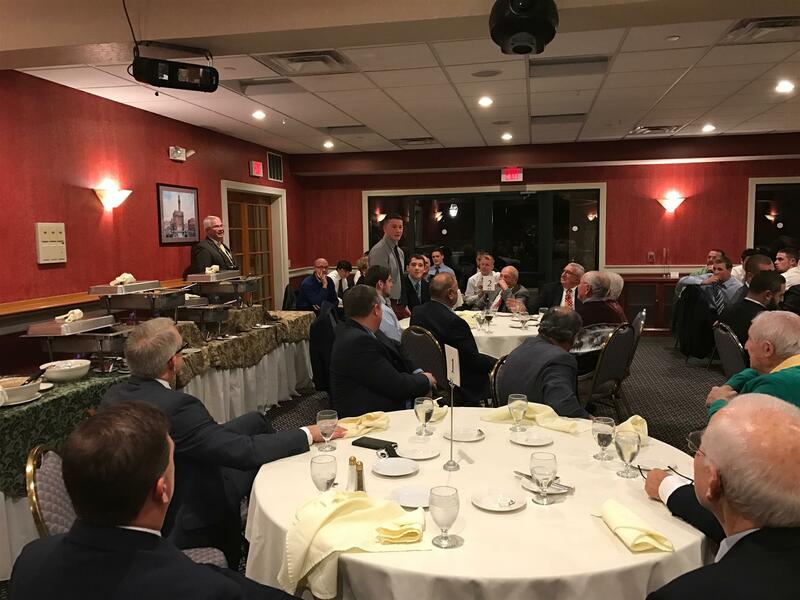 Our allocation committee awards funds based upon need in the community, with in the constraints of the funds available for distribution. Our typical allocation per organization is $1,000 or less. The Rotary Club of Stoningtons, partnered with Stonington Human Services, Stonington Arms, and the SHS National Honor Society, delivered 15 "Comfort Baskets" to Seniors in our area and 4 "Bundles of Joy" baby dolls and 12 large stuffed animals to nursing homes for people with dementia. Our volunteers now have the supplies to provide over 50 special baskets and dolls within the community. 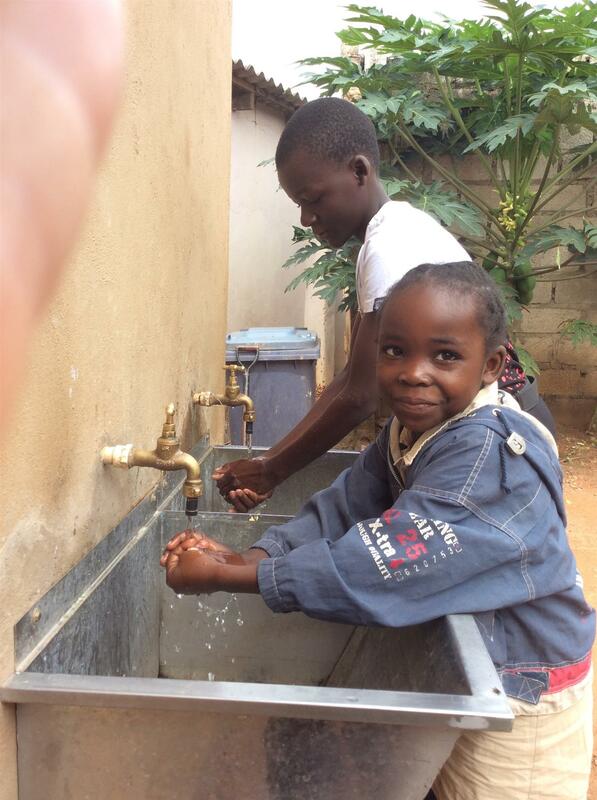 In 2017, our Rotary Club gave a gift to Chikumbuso Women and Orphans Project in Lusaka, Zambia (www.chikumbuso.org) for the water projects within their community center. 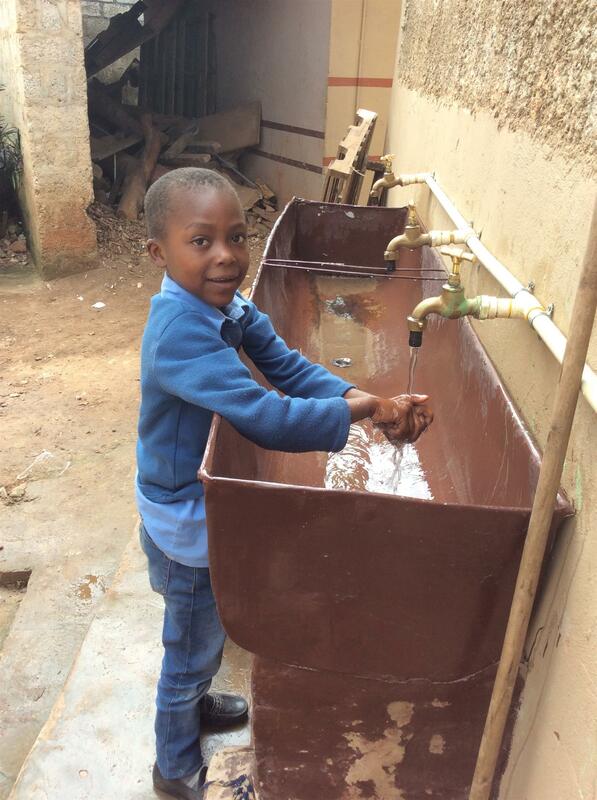 With this money the project put in three hand washing stations and worked on the septic system. 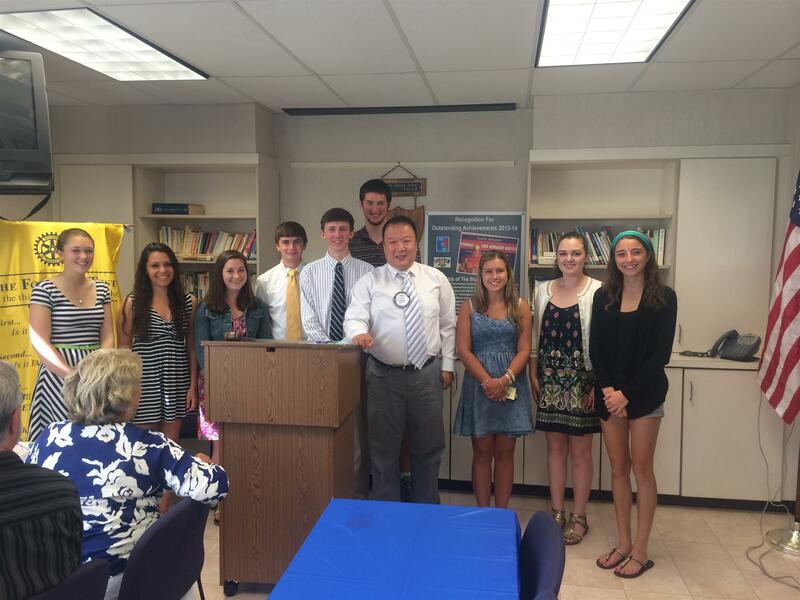 The Rotary Club of the Stoningtons is a civic organization dedicated to “Service above Self”. The money we raise is used to help both the local and international community. 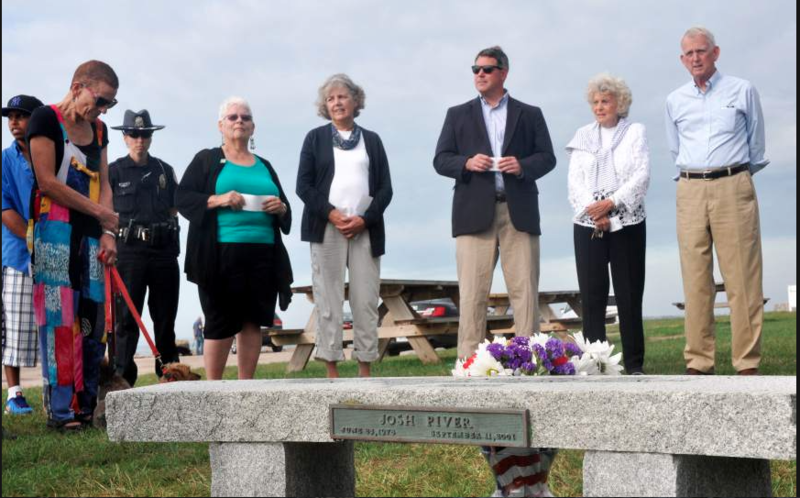 The Rotary Club of the Stoningtons hosted a 9/11 remembrance ceremony at the Josh Piver Memorial Bench at Stonington Point to honor the 15th anniversary of the terror attacks and remember Josh Piver, a Stonington High School graduate who died in the north tower of the World Trade Center. THE ROTARY CLUB OF THE STONINGTONS had our Installation Celebration on Friday, June 24, 2016 at Linda Wilkinson’s home with the Master of Ceremony Bob Boughner, and our special Paul Harris/Nancy Young Award recipient AMY KENNEDY, and her family. 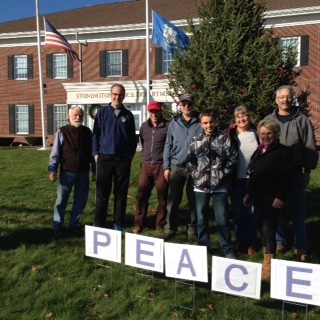 The Rotary Club of The Stoningtons erected a 16 feet fir tree on the front lawn of the Police Station on December 6, 2015. First we put red bulbs on it, later when contributions come in we change the lights to white (Peace). We put collection boxes at local businesses to collect for Heating Assistance through the Human Services in Pawcatuck and No. Stonington Senior Center. We raised over $1,600 last year. 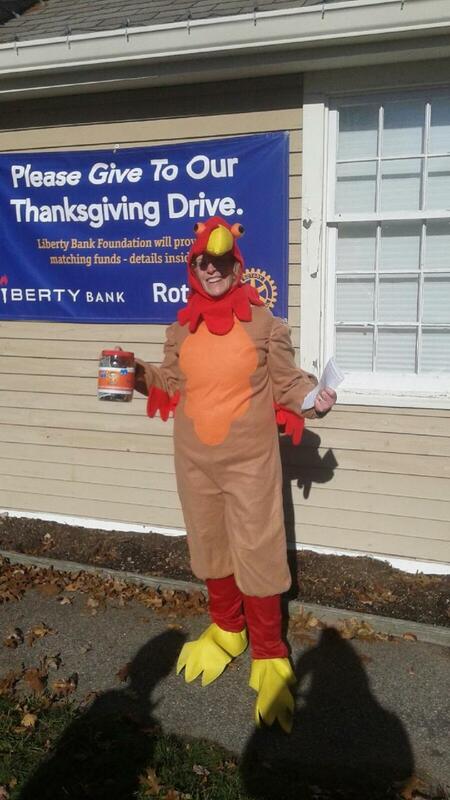 In the 2015 Thanksgiving Dinner Drive with Liberty Bank, combining the money our club raised each week in October and November wearing the turkey suits in front of Liberty Bank, our Club Rotarian’s personal donation, along with the Liberty Bank’s matching grant, the Rotary Club of Stoningtons donated nearly $1500 to Stonington Arms, Stonington Human Services and the North Stonington Senior Center. In the picture is our Rotarian Liz Tattersall in her Turkey Suit. 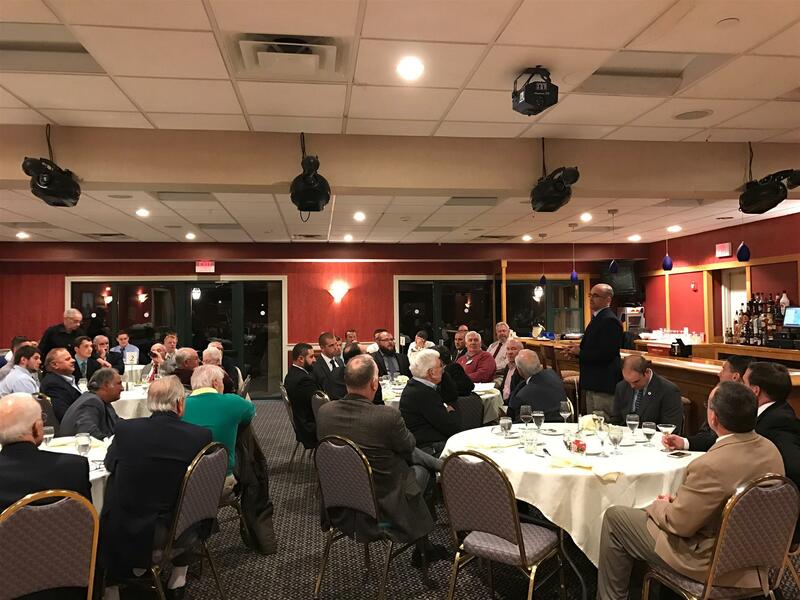 The dinner at Buon Appetito Restaurant for the One Hundred and fourth year of the formidable high school football rivalry went very successfully. 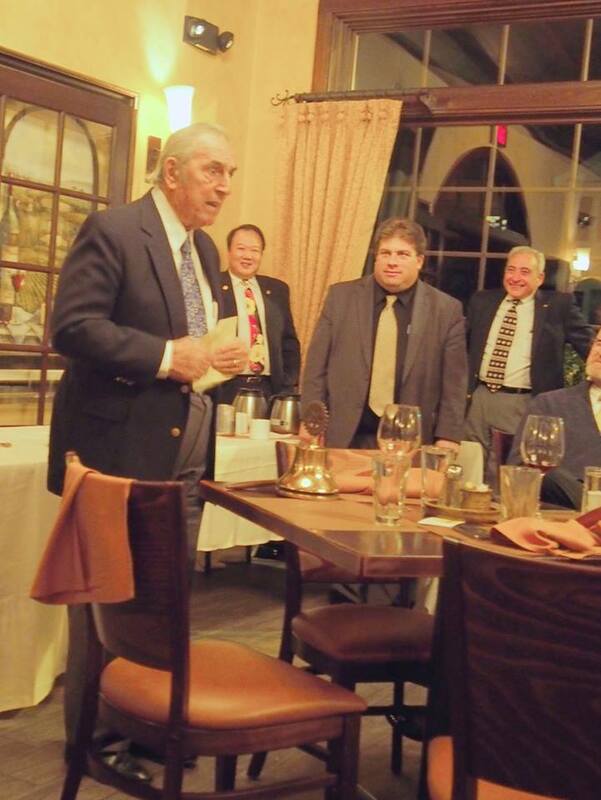 There are fifty-three people showed up in the evening to share the camaraderie, fun and stories. 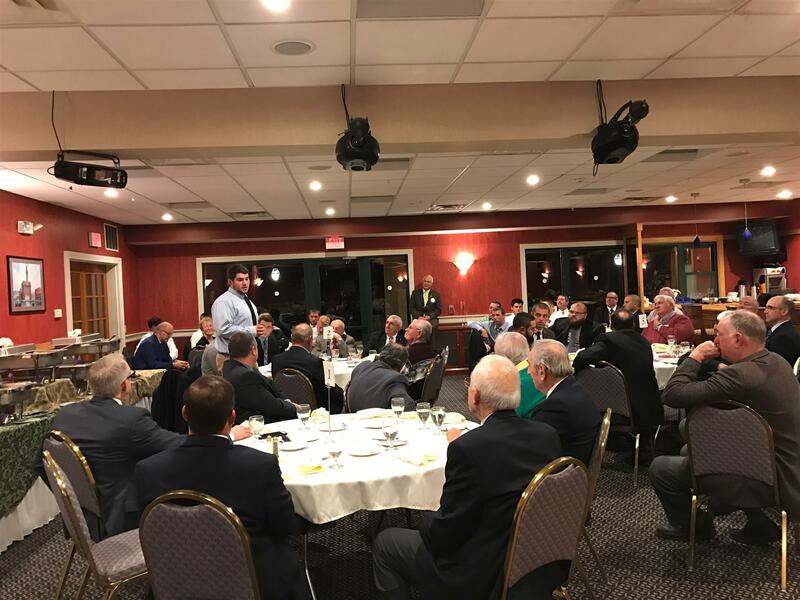 All the concerned individuals came to this event to support this longest neighborhood two towns’ high schools’ football rivalry, while the guests include the student captains, coaches, and the school administrators from both schools, Rotarian, and the former coaches and players who brought the stories and experience which happened all the way from back to seventy years ago till now. What a great night with all these wonderful people before the game! 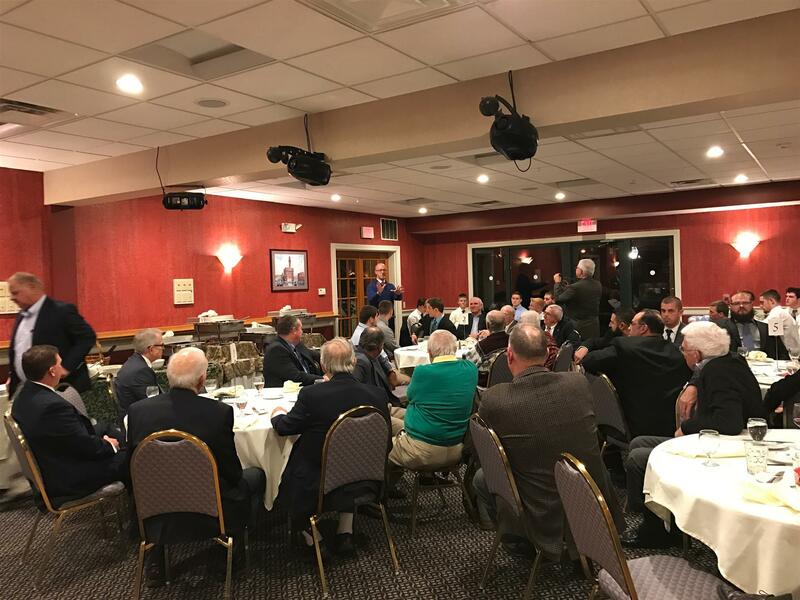 There are nine members, Feng Sure, Rich Willner, Marti Bradshaw, Margaret Victoria, Linda Wilkinson, Sabrina Buehler, Salvatore Ritacco, Matt and Liz Tattersall, from our club participated the celebration with our district governor Gerry Tom. 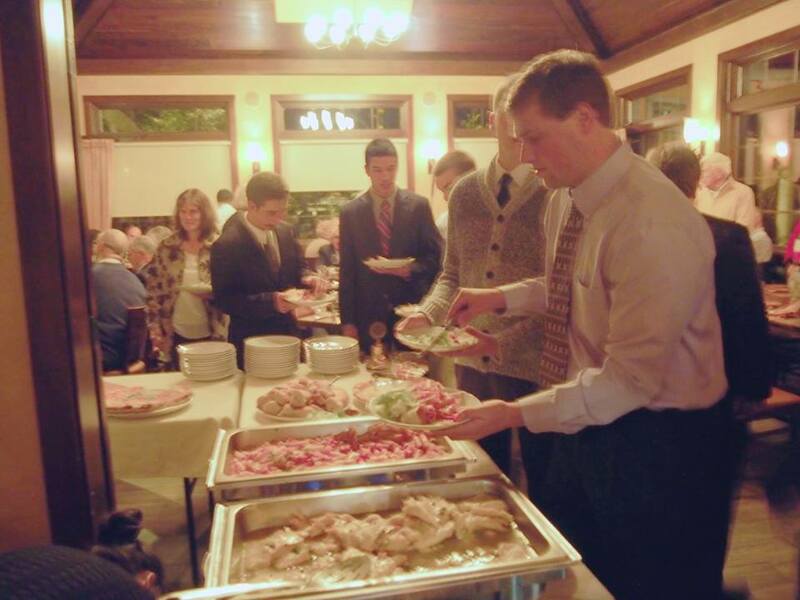 The dinner went from 6:00 p.m. to a little bit after 8:00 p.m. 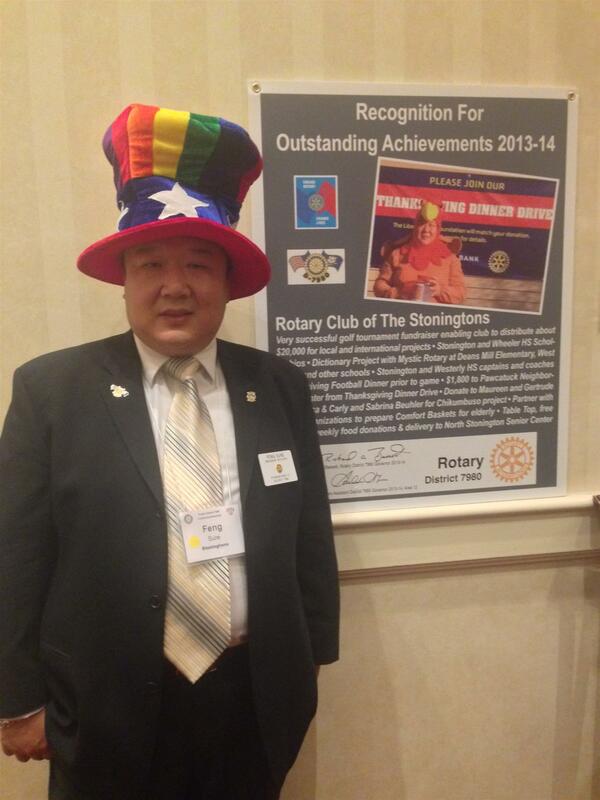 The Rotary Club of the Stoningtons is now pleased to accept applications for 2016 funding allocations. 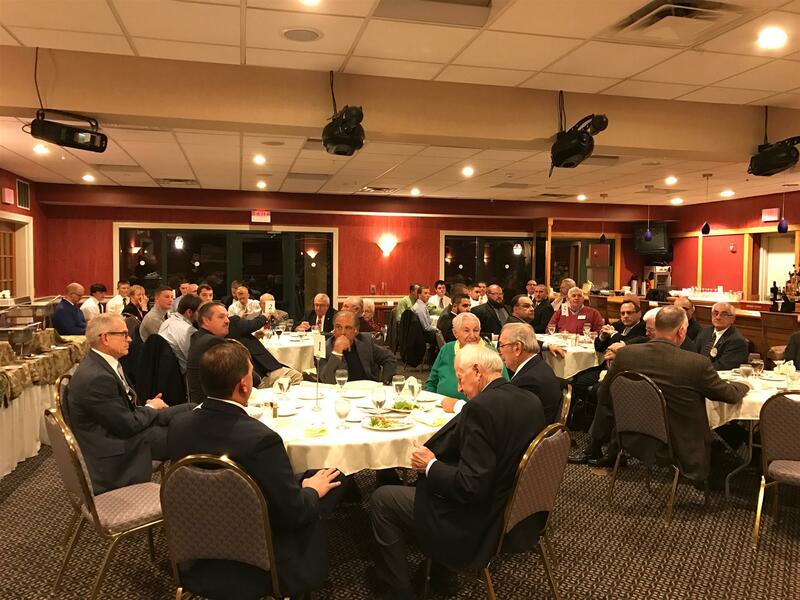 The allocation committee will work within resource constraints and place a priority on deserving local non-profit organizations. 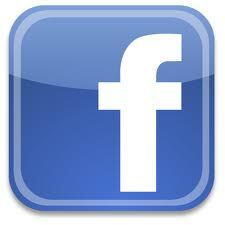 Applications forms and instructions may be found at http://stoningtonsrotary.org. Contact Margaret Victoria at (860) 535-0100 for further details. 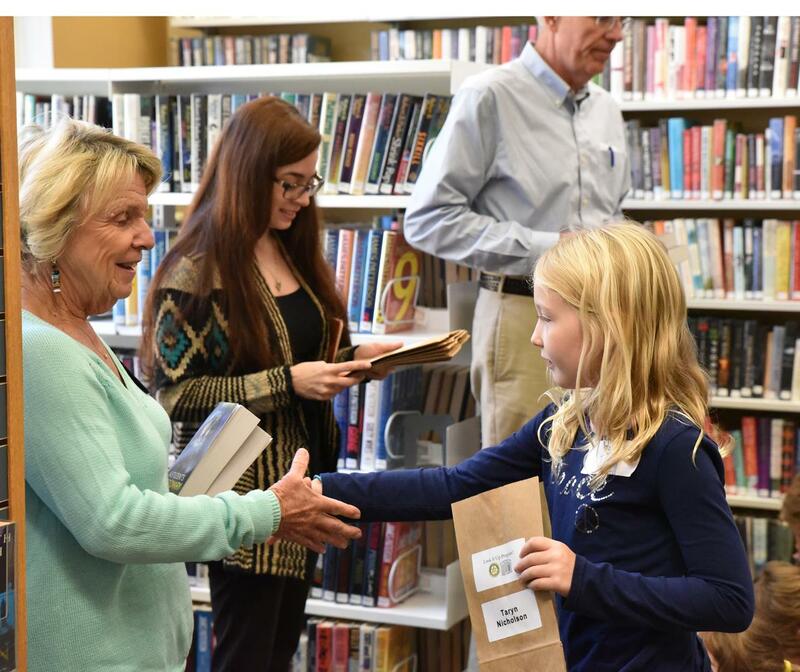 Club President, Elaine Smith, was in the Dictionary Project with Deans Mill School students. Hewitt Farm is a 100-acre town-owned property with a pond, a large open "green", trails, and a lovely Community Garden. Parking and admission to the festival will be free. Fun for all ages, including wagon rides, animals, antique tractors, games, gardening information and great food. Located on Route 2 in North Stonington between Shell Station stop light and Holly Green. 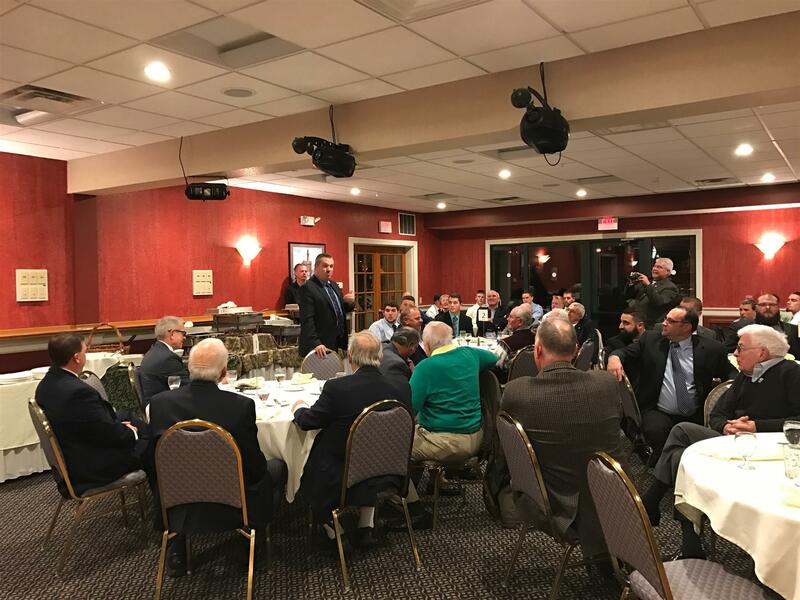 The Rotary Club of the Stoningtons is proud to announce that the Tree of Peace project raised $1169 for the Fuel Assistance Program at Stonington Human Services. 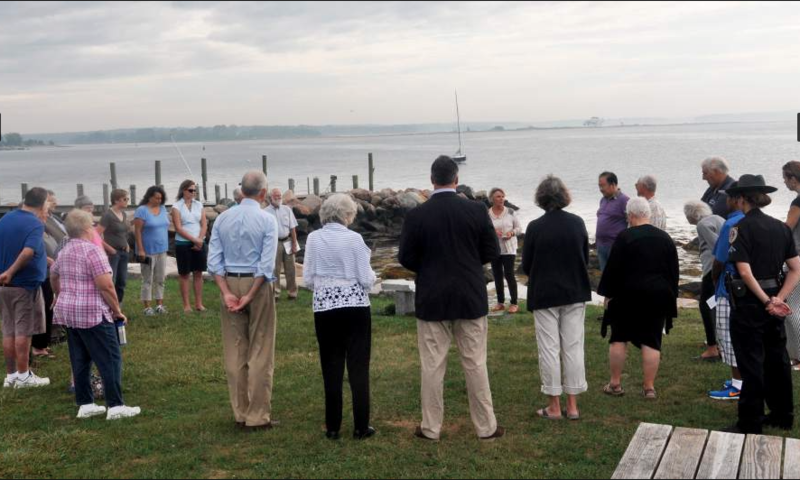 Earlier this winter, a donated tree was placed on the front lawn of the Stonington Police Department. For each donation made, the red lights on the tree were changed to white. 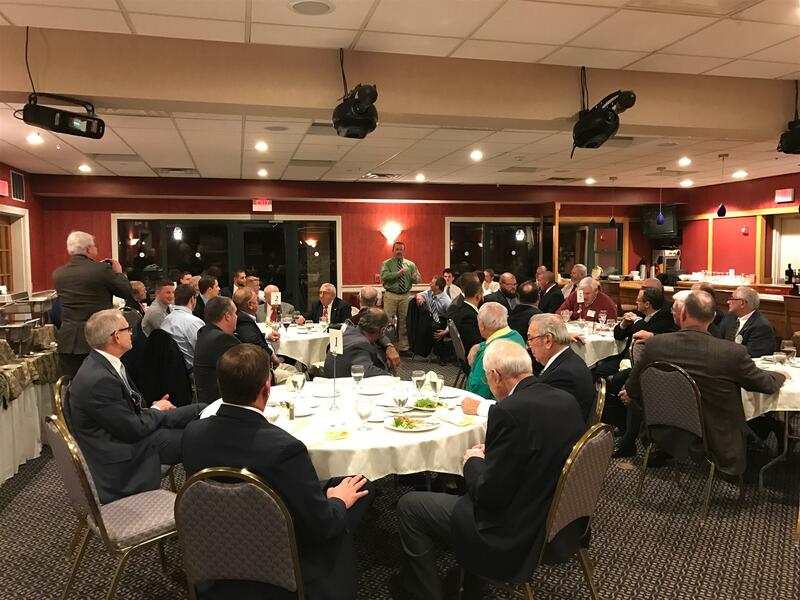 Another annual event with more than sixty people attended on Monday, November 24. 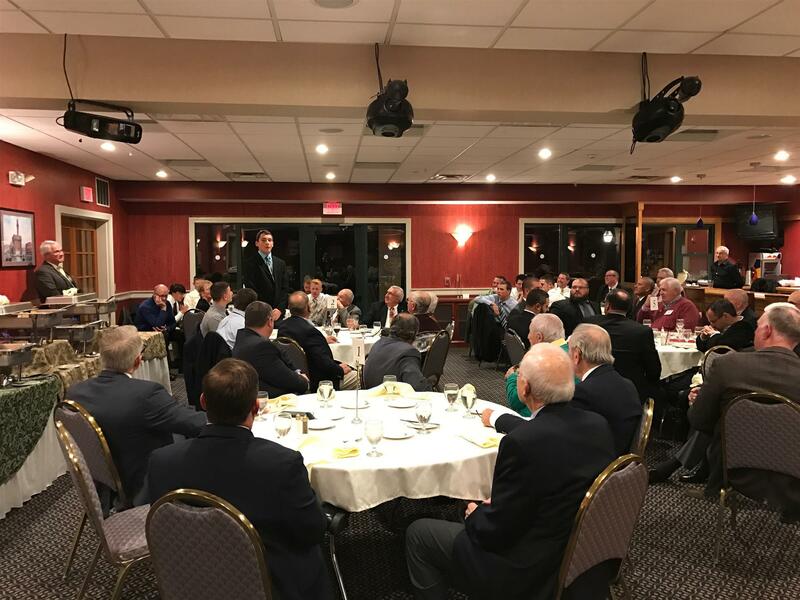 All the concerned individuals came to this event to support this longest neighborhood two towns’ high schools’ football rivalry. 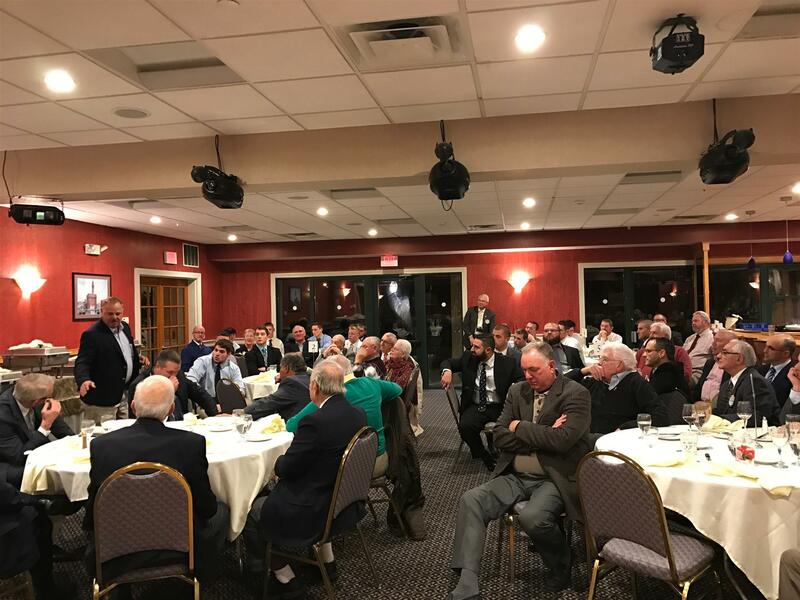 This year's game between Stonington and Westerly High Schools marks the One Hundred and Third year of the Thanksgiving Day game. 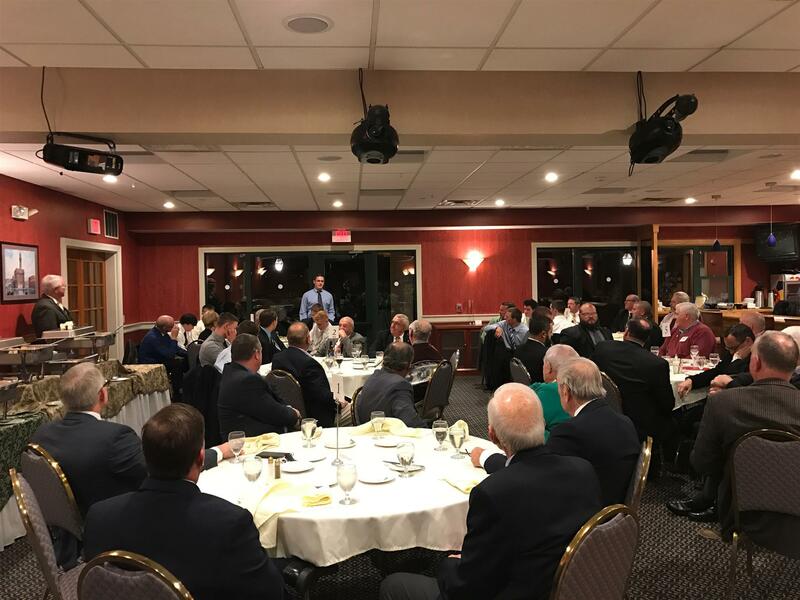 The dinner was hosted by the Rotary Clubs of Westerly and the Stoningtons, while the guests include the student captains, coaches, and the school administrators from both schools, Rotarian, and the former coaches and players who brought the story and experience which happened all the way from back to seventy years ago till now. What a great night with all these wonderful people before the game! 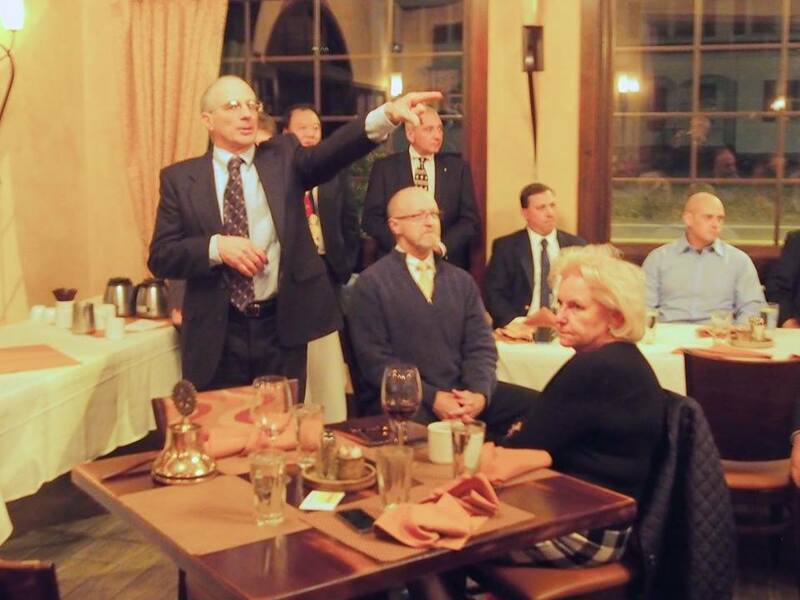 The District Governor Mukund Nori officially visited our club on September 5, 2014. 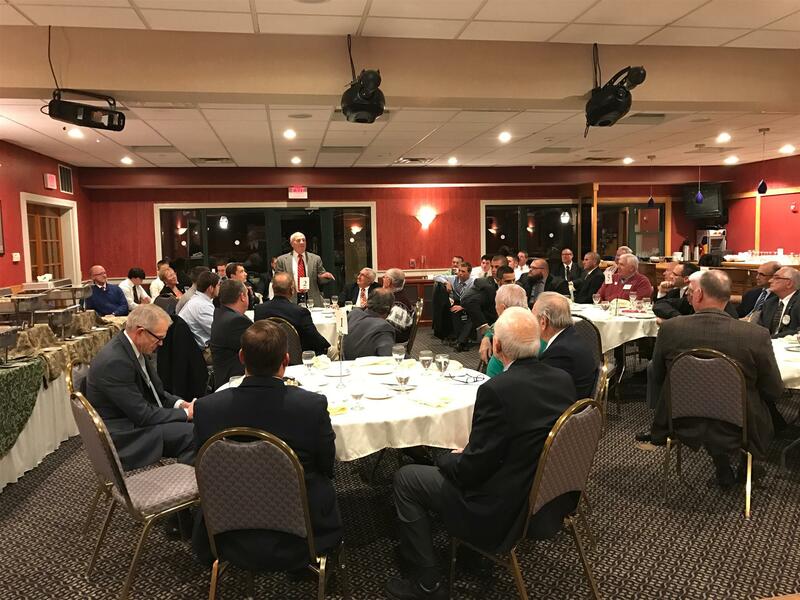 ​The Rotary Club of Stoningtons is one of the White Knight Clubs! 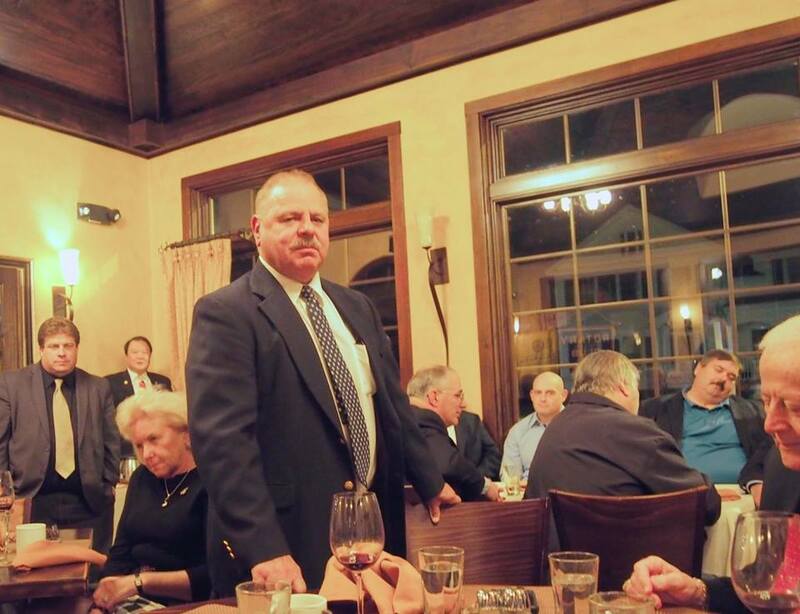 In the 2014-2015 Club President Installation Party, Rich was installed as the President of the Rotary Club of Stoningtons. Judy Mann, of Pot of Green, Pawcatuck received her Nancy Young and Paul Harris Awards for her great community services. Also in the event, the immediate past president Feng Xue Sure received his recognition of becoming a Paul Harris Fellow. 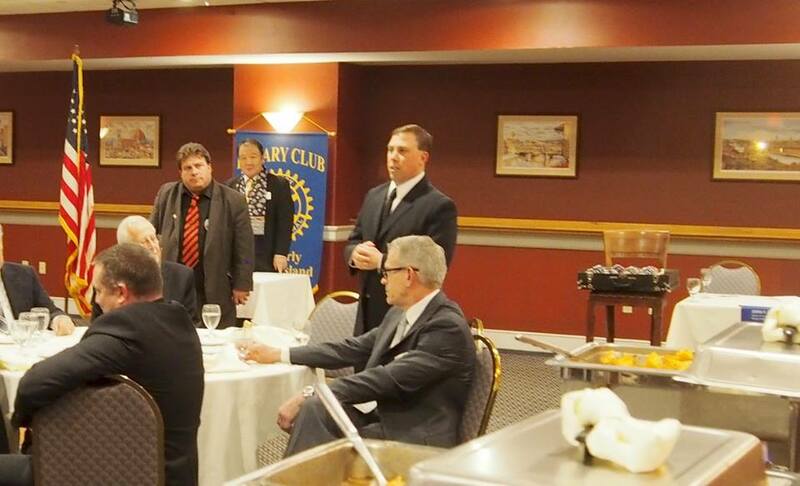 Our club had the honor to have Mukund Nori, the Distrcit 7980 Govennor, present all the awards to the Rotarian. Rich and Mukund pinned the five new members who joined the club in the same day. 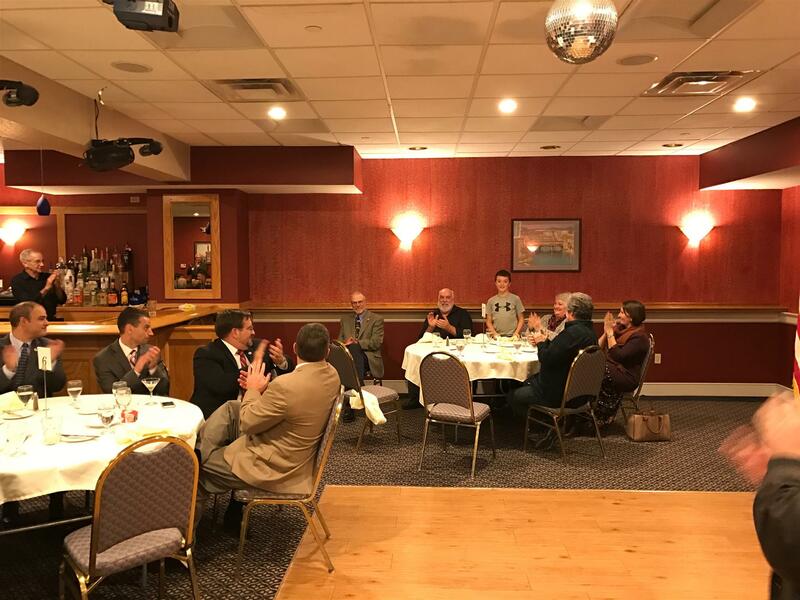 Based the community service and the Rotary Club’s Four-way Test, on June 27, 2014, the Rotary Club of Stoningtons presented scholarships in the amount of $1000 and/or $500 to ten outstanding Stonington High School seniors. 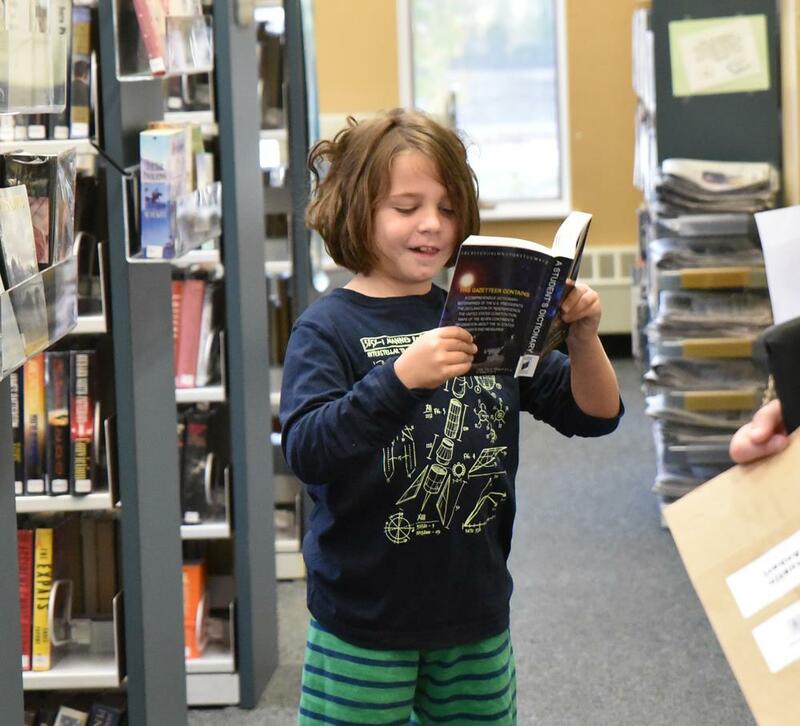 .The winners are: William Robinson $1,000; Helene Donahue, $1,000; Daniel Bockowski, $500; Emily Cassata, $500; Michelle Garvey, $500; Dale George, $500; Emily Green, $500; Libby Hall, $500; Megan Roberts, $500; Caleb Whewell, $500. We wish all the graduating seniors lots of success as you move on to reach new goals in your lives. Helene Donahue won her third State 4-H Public Speaking championship with the speech “ The Clover Concept”. Seven Paul Harris Awards holder Marti Bradshaw is pinning Rich Willner for his ninth Paul Harris Award. 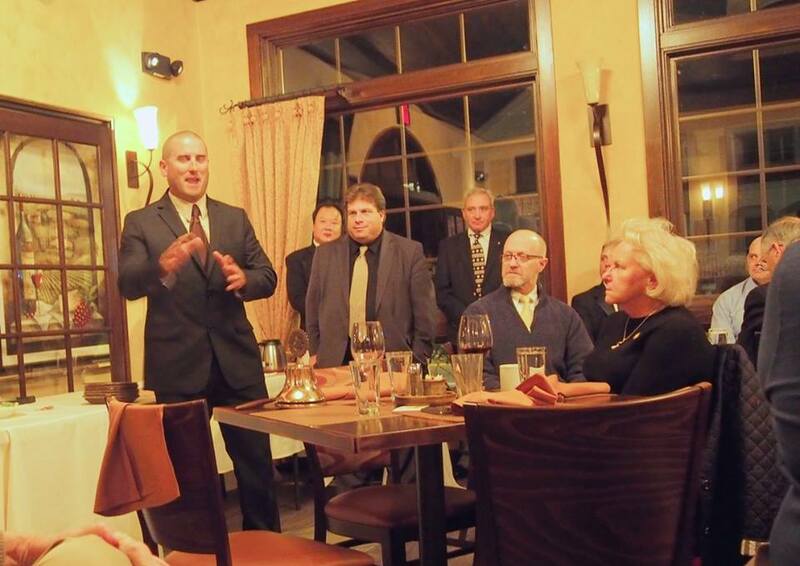 The Rotary Club of Stoningtons received the Recognition for Outstanding Achievements 2013-2014 from District 7980.